My fellow Android family members, hold your head high the next time you firmly plant your rear upon the porcelain throne. According to a study conducted by marketing firm 11mark, we use our phones while doin’ work more than any other smartphone owner. That’s right, of those surveyed that own Android phones, 87% said they are guilty of “multi-tasking” from the restroom. Blackberry users came in at 84% with iPhone users lying rounding out the results at 77%. 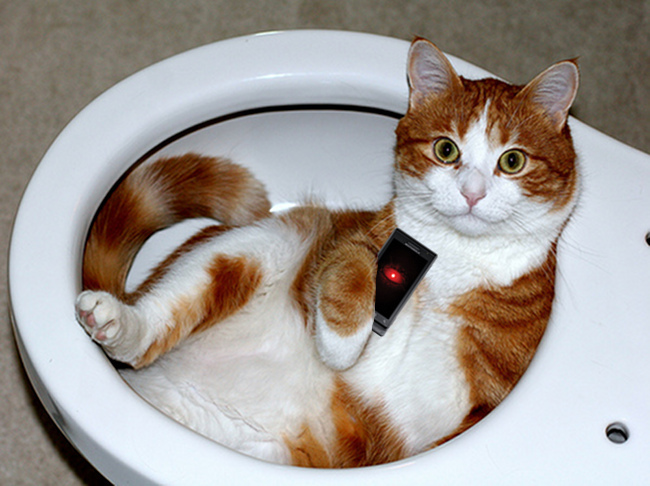 Android users, taking over the world one flush at a time.